Welcome to our new site! The site is fully functional, however we are still adding items to the categories and listing details. Visit back often, as we are adding presentation Pro Tips, how to videos, and we will be listing our full inventory. Thank you for your patience and please feel free to email or call us with feedback and suggestions. See you at your next event! 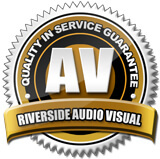 Welcome to Riverside Audio VIsual! 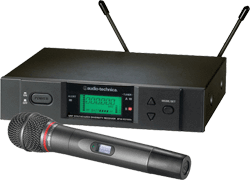 When you need to be sure everyone can hear your presentation and you don't want to be tied down with a cord, wireless microphones are the perfect choice! Video screens are a must when your image is important. 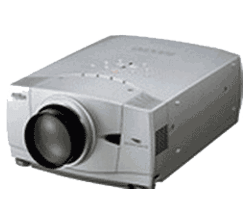 They work perfectly with projectors to give you even light reflection and brighter more vivid colors. 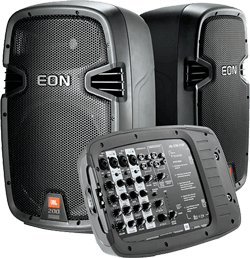 PA systems for small events to larger concert system rentals. Indoor or outdoor meetings and performances. Be heard! Put sound where you need it even if power is limited. Perfect for groundbreakings, outdoor meetings, weddings, company picnics, and conferences in rooms with no outlets. 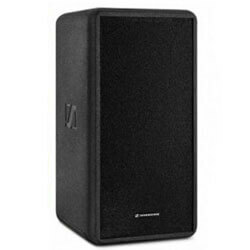 Audio packages for every event small and large. 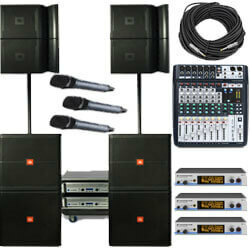 Whether one microphone and a small PA system or multiple microphones and a PA system for 1000's... we have it. Yes! 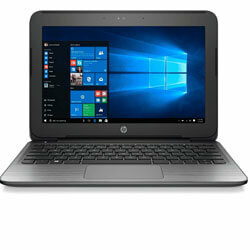 We rent laptops for your business meetings and presentations. Both Windows based machines and MAC OSX machines are available. 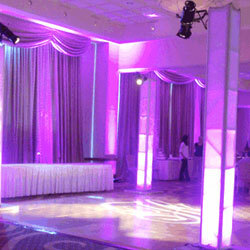 Transform your venue into a beautiful setting with professional lighting rentals. Choose your colors, styles, and images to match your event! 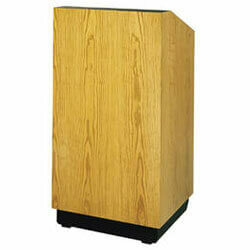 Archive your event presentation or conference as needed for post review, training, and records. 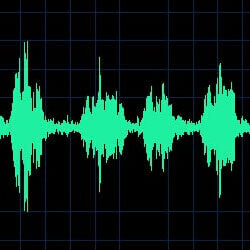 Your audio files can be delivered as MP3 or WAV among other formats. 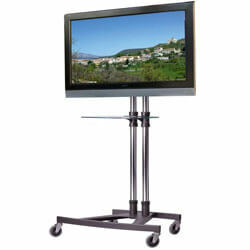 Monitors for presentations, conferences, confidence monitors, trade shows, product display, slideshows, and more. Make your product or presentation stand out. 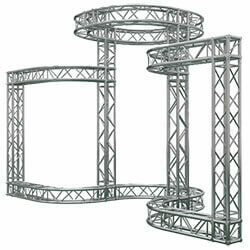 Trussing structure rentals for tradeshow booths, information booths, fairground stations, stage production, bands, DJs, outdoor shade, decoration, and creative display. 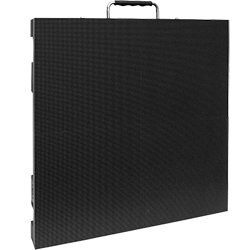 Indoor and outdoor LED video wall production and stage panels. 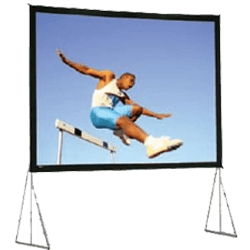 Sometimes called the "jumbotron", LED video walls add impact to any event.